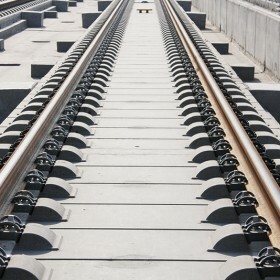 The system 300 is the most popular fastening solution for high speed on slab tracks for more than 40 years. All over the world, it ensures the necessary safety when trains pass the rails, sometimes at speeds above 350 km/h. Today the system 300 is being used on more than 7,000 track kilometres and it forms the basis for various further developments for all laying procedures of slab tracks.